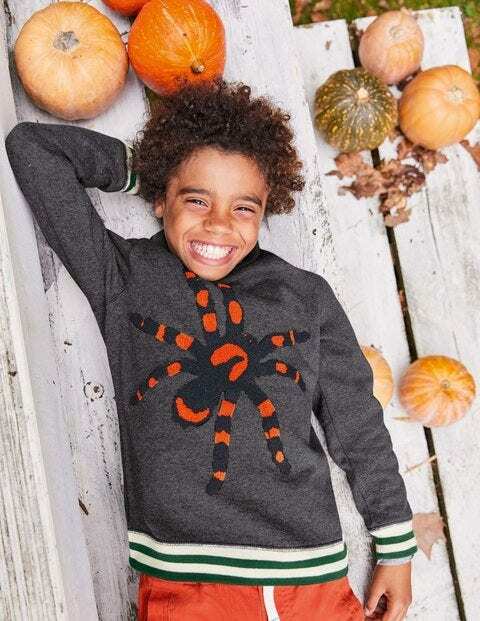 Watch out – even grown-ups will be scared of this long-sleeved sweatshirt. The bouclé design adds terrifying texture, while the brush-back 100% cotton makes it frightfully warm and comfortable. With contrasting ribbed cuffs and hems, it's just as good for layering as it is for making a fearsome impression.